The title may be inaccurate to say the most, but I bet most of you do get what I’m trying to say here; It’s basically a comparison between those smartphone devices you find online which have the word “import” placed in its description. Something like what you see above. I have received some inquiries about such situation, and I think there is a need to clarify what is the difference of these ‘import’ devices (non-official) if compared to the ones which are ‘local Malaysia'(official). WHAT ARE ‘IMPORT’ SMARTPHONE? – Are they original? ‘Import’ devices or gadgets are those obtained from another country aside from Malaysia(or the host country). They can be obtained from China, Singapore, UK and many other places. They are basically original devices which are meant from other market, except Malaysia. Sometimes, they are called ‘underwater gadgets’ or ‘AP sets’. However it is important to note that AP gadgets can be also deemed as gadgets assembled locally as they are not from the real manufacturer. One thing worth to note is that ‘import gadgets’ or unofficial devices are normally made by the original manufacturer and are not clones or imitations. Comparison of price between an ‘import Mi 3’ and the original price offered by Xiaomi. PRICE – Which is cheaper? The price of ‘import gadgets’ are obviously different, and are normally priced much lower since most do avoid local taxes. Nonetheless, there are some devices which will cost equal to the original devices if supply is seen to be short. Take for example Xiaomi which only sells their devices at a controlled volume online. Retailers are selling it above or at almost the same rate as the usual price offered by Xiaomi as the demand for the smartphones are high, but stock is highly limited. WARRANTY – How much is my device covered? ‘Import gadgets’ normally carry the full manufacturer warranty but there might be problems obtaining service at your official local servicing outlet due to sertain manufacturers only wanting to service devices only bought through the proper channel. That said, unless the device has a valid ‘worldwide warranty’, you may need to send the device back to who you purchased it from to get it repaired. For ‘local Malaysia’ devices, you can send it to authorized Malaysia service outlets without much problems. Different types of Samsung S4 bands found around the glob. 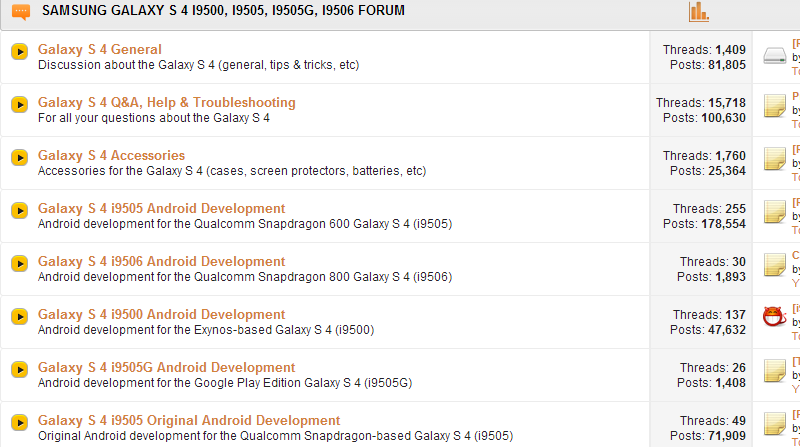 Print screen taken from XDA developers. ASSEMBLY – Who builds these ‘import gadgets’? In most cases, ‘import gadgets’ are made by the real manufacturer. The only problem is that smartphones are made tailored for their respective markets. For example Samsung has produced numerous types of the Samsung Galaxy 4 for the American market, but only one type/band is available for the Malaysian market. That said, there has been reports that some of these ‘import gadgets’ have problems functioning in Malaysia due to a slight hardware difference. The ‘local Malaysia’ gadgets are tailored for the Malaysian ecosystem, and hence reducing any problems with your usage in Malaysia. You might however encounter problems shall you use your device outside of Malaysia. The charger which comes with your smartphone will also be different on ‘imported gadgets’ since they cater for the country they are meant for. RISK & ADVANTAGES – Is it safe to buy ‘import devices’? If you have read the article above, I’m very sure you’d already sum up the risk of buying non-official Malaysian devices (import gadgets) by now. But for what’s it worth, the risk of buying these non-official gadgets include problems with warranty claims and possible usage problems in Malaysia. You might also have an issue charging your phone since the charger might not fit your local power socket. The advantage comes in terms of pricing if compared to the official gadgets (local Malaysia). IDENTIFICATION – How do know which is which? Identifying non-official Malaysia devices are simple if the seller does put up the word ‘import’ in their description. However, not all sellers are responsible with some hiding such information from you. The best way is to see its pricing and also its warranty. Official products cost more because they pay taxes, and when it comes to warranty, it must be able to be serviced in the whole of Malaysia with no such words as ‘return to seller’ for warranty claim. On top of that, these phones should also have English and sometime Bahasa Malaysia instructions coming with it, and the charger should be readily made for a typical Malaysian power socket (3 pins). Other than the three stated above, it is difficult to detect which is an imported version of the product, but in most cases, official products only come from official sources like the official store of the brand, or telcos. 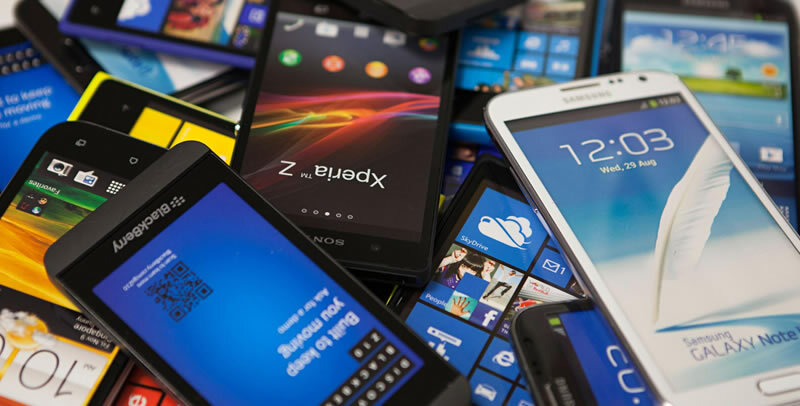 While price might play a vital role when you purchase a device, it must be noted that electronic devices such as smartphones might not be built as lasting as it used to be. That said, if you want less hassle, getting the official product from official retailers might be the best. However, if you like to take risk, and warranty is the least of your concerns, the ‘import gadgets’ will be the way to go as you will save some. If you are looking to compare prices of smartphones, or maybe buy them at great discounts, this site can help, but please take into account what I have mentioned above. Previous articleXiaomi Product Launch: Tell me why should I get a Mi Band again? Hi i would like to ask on iphone which is imported.does that mean the phone can use only sim from malaysia in malaysia or other sim outside malaysia and be used in and out of malaysia?please respond asap.thanx. It really depends. For a phone with any type of sim, you must make sure the iphone is ‘unlocked’. Else, when you bring a ‘locked’ iphone from US for example, it might only be usable with perhaps AT&T (a US telco). Hi,just want to ask if I bought an imported phone, is there any difficulties or problem in downloading apps from google play store? If you are buying a phine like from China, i’d suggest to reformat the phone and install a local version Android. Else, you will encounter a lot of difficulties using apps blocked. – I’d suggest using MiUI Global ROM. Dear Mr Cyril..xiomi MI4 is not available in Malaysia but some of the online store claim its has warranty of Malaysia xiomi..experience from buying ap set..there are several unsolved problem regarding GPS n firmware update. 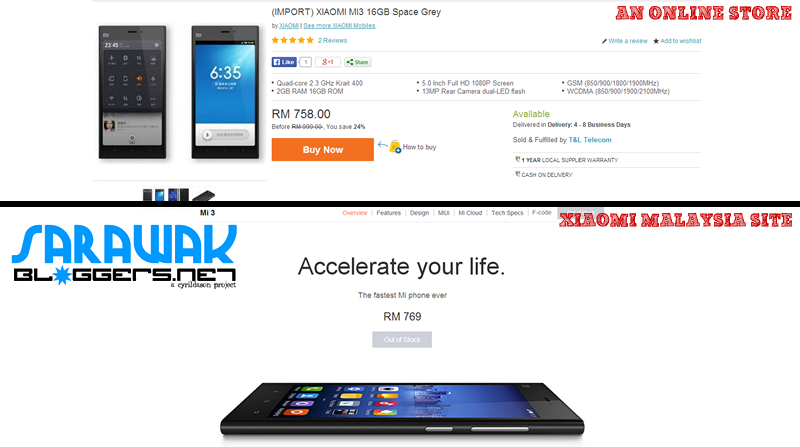 The question here is : buying the mi4 maybe tweak to cater Malaysia market would cause me problem in the future? 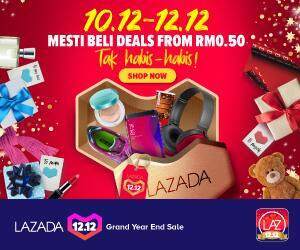 U can see the product at Lazada my or directed.thank you for ur time. Mi4 is officially available in Malaysia but you must buy it from the authorized offline resellers which have been appointed by Xiaomi. You can read about it here: https://sarawakbloggers.net/xiaomi-mi-4-finally-sold-in-malaysia-but. There are AP (not original Xiaomi sets, so be careful not to be duped. I’m planning to buy a Mi Note Pro from lelong.com as i can see there are a few retailers are selling such as Direct D, Greenfone, Satu Gadget and others. But all the device they mentioned is “international version, import from china or imported set”. My most concerned problems for purchasing this phone is do i able to receive regular update, firmware update or even the latest MiUi7 from Xiao Mi in Malaysia? I read the comment the seller said it’s international version it comes with pre-install google play store & english UI. On the other hand, the seller also mentioned it support all 4G LTE Telco’s in Malaysia. I have no problem with the warranty the most concern is the update and also does the signal services for all telco’s in Malaysia stable? I hope Mr Cryil you able to assist me before i purchase this phone. I have no choice because currently Xiao Mi Malaysia only offer the lower spec the Mi Note and not the Pro version. Thank you so much & your assist are truly appreciated. Hi Nicholas. Thank you for dropping by and leaving a comment. Based on your explanation, I am glad to say that as far as I know, Xiaomi doesnt void your warranty due to software problems. This is ultimately the beauty of Xiaomi – They allow you to root/format your phones and but still cover the phone hardware warranty. Back to your questions on updates. Well, if you purchase a Xioami meant for another market, you will get updates from that particular country, but since Xiaomi has introduced their global MIUI version, I dont see why you are not able to get an update for the firmware. If the current update trend of the MIUI is to be used as a benchmark, you can expect every update to come in not based on country, but based on the whole MIUI version you are using. The word ‘Global ROM/MIUI’ pretty much means one ROM/MIUI for all countries. The phone should also be able to function well with our 4G network as it has similar 4G band with Malaysian telcos. im planning to buy Xiaomi Redmi Note 2 Original Imported Set . Can you give me review about that device ? Is it safe to buy from that particular store ? Your comments will be much appreciated. For Xiaomi products, I strongly suggest you buy it from the official Xiaomi site at http://www.mi.com/my. I’m not sure about products bought from other stores. As i noted in this article, import sets can have difference with the ones sold for the Malaysian market, so be careful.